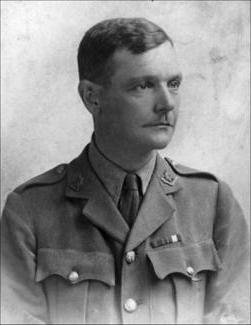 Lieut.-Colonel Leslie Claude DORMAN, D.S.O. Commanded the 2/7th Battalion Worcestershire Regiment from May 1916 to October 1917. Commanded the 2nd Battalion Worcestershire Regiment from November 1917 to April 1918. Lieut.-Colonel Leslie Claude Dorman was born on the 30th July 1879 at Maidstone, Kent. He was the son of Alfred Mark Dorman a farmer, and Laura Mary Dorman (nee Brooke). His mother Laura died when he was only 10 years of age. 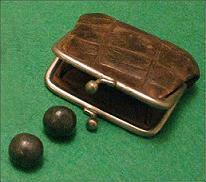 He was commissioned in to the Worcestershire Regiment around 1889 as a 2nd Lieutenant and joined the 2nd Battalion. He was promoted to Lieutenant on the 20th June 1900 and served with the 1st Battalion Worcestershire Regiment in South Africa during the Boer War 1900-02. He was severely wounded by shot gun bullets while gallantly defending Ladybrand against the Boers on the 2nd September 1900. After he recovered he was promoted to command a company of the 5th Battalion Mounted Infantry of the Worcestershire Regiment. In 1901 he received a Mention in Despatches for his gallant service during the Boer War (London Gazette 10/09/1901). On the 22nd March 1903 he was promoted to the rank of Captain. In 1911 he married Sydney Marie Augusta Brooke at Elham, Kent. At the start of the First World War he still held the rank of Captain in the 3rd Battalion Worcestershire Regiment. He sailed with this battalion to France and on the 15th August 1914 they were at anchor off Le Harve. The following day they sailed on to their destination at Rouen. 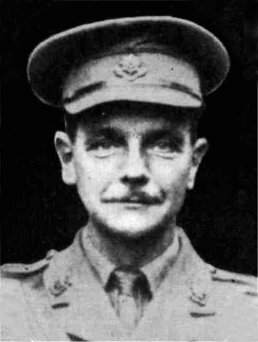 Captain Dorman was commanding 'B' Company and was soon in action at the Battle of Le Cateau during the last week of August 1914. 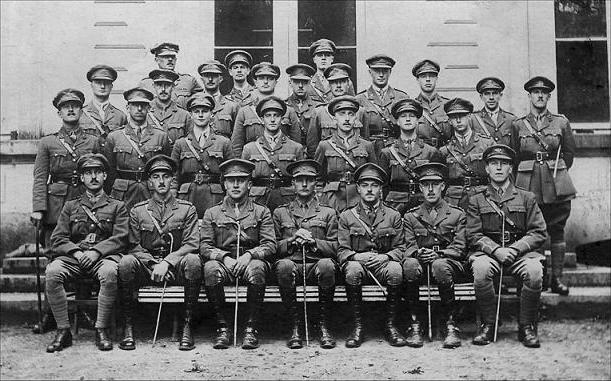 In September 1914 the 3rd Battalion were near Vailly and on the 17th September 1914 came under enemy shelling which resulted in Captain Dorman being wounded and subsequently evacuated back to England. He received a Mention in Despatches for his actions. On the 25th May 1916 he was back in France again, but this time commanding the 2/7th Battalion Worcestershire Regiment with the rank of Temporary Lieut.-Colonel (his substantive rank at the time was Major). During the advance to the Hindenburg Line in March 1917 he was awarded the D.S.O for his good leadership during actions at Maissemy on the 2nd April 1917. In May 1917 he received a second Mention in Despatches. In August and September 1917 he was still commanding the 2/7th Battalion at the Battle of Ypres. On the 29th October 1917 he relinquished command of the 2/7th Battalion. On the 18th November 1917 he took over command of the 2nd Battalion Worcestershire Regiment at Brandhoek. Due to Lieut.-Colonel H. E. Gogarty, D.S.O. been selected for the new Staff in Italy. Lieut.-Colonel Leslie Claude Dorman finally retired from the Regular Army Reserve of Officers on the 20th July 1934. Lieut.-Colonel Leslie Claude Dorman died at Maidstone in 1944, age 63. 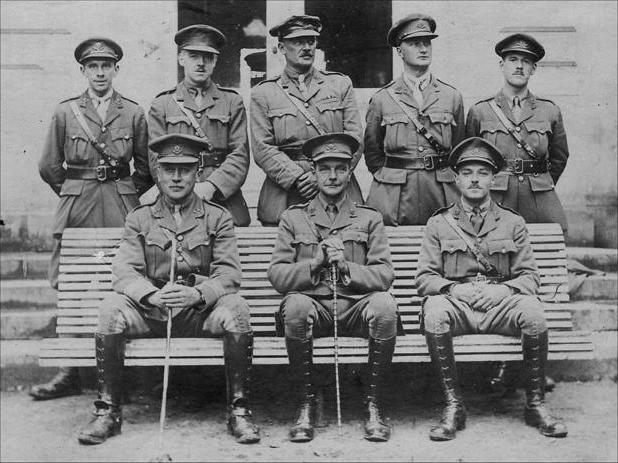 Lieut.-Colonel L. C. Dorman seated front row centre. Note: GRO birth register shows his second first name was incorrectly spelt as "Cland" but should be "Claude"